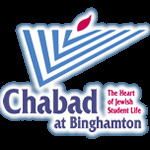 Welcome to the Rohr Chabad CenterHere Jewish students at Binghamton University find a warm, welcoming community, valuable resources and non stop events and excitement. Please enjoy exploring our site and let us know how we can be of service to you. We look forward to welcoming you at Chabad in real time, real soon!